US designer in Chicago. He served in the US Navy during WW II in its Department of Training Devices, along with designer Henry Glass, under the head of its design program, Cleveland designer Viktor Schreckengost. 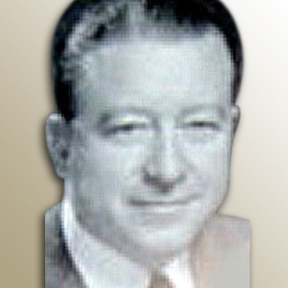 MacAlister came to Chicago in 1946 to reorganize design at Montgomery Ward and to conduct a color survey for them. He was one of the first designers to venture into television. He later served as a consultant and appeared frequently on the NBC Home Show. He developed and mass produced a "Plan-a-Room" kit with scale furniture and room layouts that could be used to plan and organize home spaces for consumers. MacAlister was president of the Industrial Designers Institute (IDI) in 1953. He founded, and for many years chaired, IDI's pioneer national design awards program, which began in 1951 and continued until 1965. He was awarded IDI Fellowship, which was honored by IDSA when it was formed in 1965 by IDI and other organizations. He lived in Lake Bluff, IL.